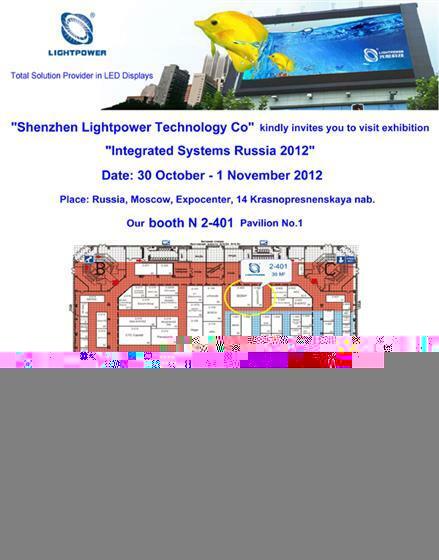 Lightpower will attend the Integrated Systems Russia show 2012 from 30 October to 1 November, 2012 which held in Moscow, Russia. Welcome to visit then. Address: Russia, Moscow, Expocenter, 14 Krasnopresnenskaya nab.